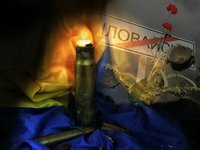 Ukraine's Main Military Prosecutor's Office has in essence completed its investigation into the circumstances of the Ilovaisk tragedy. However, the final procedural decision on the investigation will be taken after interviewing each Ukrainian solder about the events and bringing those guilty to criminal justice, Ukraine's Prosecutor General's Office (PGO) has said. PGO Spokesman Andriy Lysenko said on his Facebook page on Wednesday that the Military Main Prosecutor's Office continues to conduct its pretrial investigation of Russia's aggressive war against Ukraine that resulted in the deaths of people and other dire consequences. Lysenko's note mentions results of two expert analyses and collected evidence, which establishes that from May through June 2014 Anti-Terrorist Operation forces conducted a number of successful operations to liberate towns in Donetsk and Luhansk regions and that on August 11 an order was given to liberate Ilovaisk from members of illegal armed formations. According to Lysenko, Russian military leaders "organized a direct invasion using Russian military units in Donetsk region and simultaneously shelled Ukrainian positions from Russian territory." Direct Russian intervention occurred on the night of August 24, 2014, when nine tactical Russian military battalions with 3,500 Russian troops, up to 60 main battle tanks and up to 320 armored vehicles and other equipment intervened. To save Ukrainian soldiers' life, Ukrainian army chiefs started negotiations with the Russian representatives and agreed on a "humanitarian corridor" for the besieged Ukrainian troops to retreat. "On August 29 on the direct order of the General Staff of the Russian Armed Forces, Russian soldiers fired from heavy weapons at columns of Ukrainian soldiers, including three Russian airborne troops who had been taken prisoner," Lysenko said, adding that 366 Ukrainian servicemen were killed, 429 were wounded and 300 were taken prisoner. Lysenko said expert testimony and evidence gathered demonstrates conclusively that "Russian military aggression is the sole cause of the Ilovaisk tragedy."